An Indiana woman was killed when she was shot by a neighbor. The woman’s dog ran through the neighbor’s property, and the neighbor was trying to shoot the dog. Instead the bullet struck the dog’s owner who was chasing the dog. The woman was there visiting her grandmother’s house for the day. The neighbor has been arrested on preliminary charges of voluntary manslaughter and reckless homicide. Norman F. Kruse Park is a public park in Muskegon, Michigan that sits right on Lake Michigan. Highlighted by a mile of sandy beach the park is actually intended for human use, complete with picnic pavilions, boardwalk trails through the dunes, and a playground. However, a portion of the beach is open to dogs and it’s one of the most beautiful places you can take your pet. Unlike purpose-built dog parks, Kruse Park seems to allow dogs as an afterthought. Evidence of this may be that there are just two rules for people sharing the park with their dogs: 1) pick up after your pet, and 2) dogs must be on a leash. That’s all, and one of those rules makes no sense. How will your dog go swimming with you holding onto his leash? Hillcrest Park is a public dog park in the city of Grand Rapids, Michigan that opened in April 2005. The park came into existence in large part through the efforts of the Grand Rapids Dog Park Enthusiasts, who began their blog about the process back in November 2002. They helped to select a site for the park, an existing public park that had enough open land to fence in part of it to create a leash-free area for dogs. In fact, there are two enclosures: one for small dogs and one for large dogs. Sponsors and donors helped fund the construction of Hillcrest Park; while maintained by the city, it is up to volunteers and park goers to provide basic services such as drinking water, clean-up bags, and even enforcement of the rules. The park does require that all dogs are up to date on vaccinations, spayed/neutered, licensed, and that young children do not go in among the dogs. Of course being open to the public means that it is up to dog owners to rely on the honor system and voluntary policing to ensure that the rules are followed. Shaggy Pines is a private dog park outside of Grand Rapids, Michigan that was rated the #3 dog park in the country by PETA. “Private” means that membership is required to use the park facilities, and a membership costs some considerable dough. “Gold” membership runs $288 per year, giving your dog access to the park seven days a week during the hours of operation (7am - 9pm). “Silver” is still $228 annually but limits access to weekends only. Neither of these dues include a $39 initiation fee. For those that don’t have a membership (including my dogs), it costs $8 for a day-long guest pass. So what does all this money buy for your dog? Shaggy Pines features 14 acres of fenced-in land for their customers divided into four sections. The main section has a lighted trail that winds around a central swimming pond. Another section is for small dogs only in case the wee ones are intimidated by larger playmates. Another section is for big dogs only, and a fourth area has a one-mile jogging trail and a large open area for playing fetch, frisbee, etc. An Itchmo reader is reporting that coyotes who have been a problem in San Francisco’s Golden Gate area may be attacking feral cats. Two coyotes were killed last week after attacks on 2 dogs being walked. A neighbor of mine has been feeding 3 feral colonies in Golden Gate Park for over 10 years, twice a day, rain or shine, and paying for all of it out of his own pocket. All but 3 individual cats have been killed by either the dead coyotes or the ones who are still living there. Urban coyotes are rare, but not unheard of. We recently went on a long 3-day road trip and brought along our mutt — as we usually do. To ensure his safety and comfort, we usually pack the dog’s travel bag first and go through a checklist. We wanted to share with you our little tips and tricks. Our focus is on safety, then we add lots of the comforts of home. Properly preparing for the road helps you avoid expensive emergencies. Here’s the checklist we use to pack for our dog and our reasons why. 1. Colorado Springs, CO: All that needs to be said is 250 days of sunshine a year which means an endless amount of outdoor activities for your furry friend. 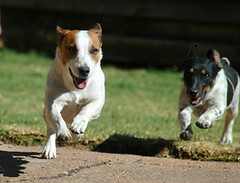 Their boarding and dog day care facilities earn top scores. Also, Colorado Springs levies the highest maximum fine for animal cruelty: $500,000. 2. Portland, OR: Portland is proud of the fact that they have the most dog parks per resident and the many pet retail stores in the area. 3. Albuquerque, NM: New Mexico has the second highest dog ownership rates and Albuquerque’s affection for dogs is shown throughout the city. Even the Mayor holds a Mayor’s Dog Ball which supports efforts to educate children about the humane treatment of animals. 4. Tucson, AZ: Not only is Tucson filled with sunshine, but Tucson has more veterinary practices accredited by the American Animal Hospital Association than in any other city in the Top 50. 5. Seattle, WA: There are almost a dozen dogs parks in the city and many more in the suburbs (including Marymoor Park which is a 40 acre off-leash dog area). Seattle vets report that Seattle has one of the lowest number of heartworm cases in dogs. The complete list of the Top 50 cities for dogs after the jump. 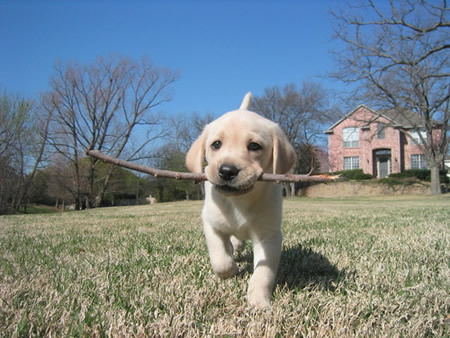 On average, a dog can release up to three-quarter pounds of feces a day (that is a serious amount of poo). What to do with all that poo? The North Central Texas Council of Governments is starting the “Doo The Right Thing” awareness campaign in the Dallas-Fort Worth area. They are advising dog owners to always carry bags with them and to pick up waste as soon as it is deployed and to flush it down your toilet at your convenience. Don’t worry, soft waste can be thrown away in the trash. 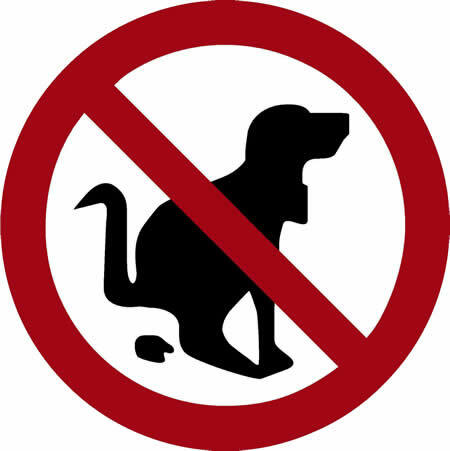 The campaign’s aim is to prevent pounds of dog waste from leaking or washing into untreated creeks, rivers and lakes. We know you’ve seen plenty of dogs “doo-ing” their thing, so we’re gonna save you the pretty picture. 1. Boston — Take a boat or whale watching cruise. Walk the Freedom Trail, visit Salem and explore history at Minute Man Park. Your leashed dog is also welcome on the subway. 2. Vancouver — Walk the Capilano Suspension Bridge and park. Take a walking tour of Historic Gastown. Take the ferry and visit nearby Victoria and beautiful Butchart Gardens. 3. New York — Stay in luxury at many fine hotels. Walk the Brooklyn Bridge. Take a walking tour of lower Manhattan. Ride the carriages. Watch a morning show. Shop in famous stores. 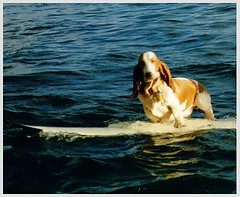 The rest of the Top 10 Dog-Friendly Vacation Spots after the jump. Vending machines — they provide us with the convenience of getting that bag of chips that you’ve been craving, that thirst quenching soft drink, and now a dog toy or a poopie bag just in case if you forgot one. Hey Buddy! provides doggie vending machines and their first one was put in the Bark Park in Dallas in 2005, and now another one has been installed in another dog park in Dallas and over the summer, 10 more doggie vending machines will be placed in dog parks around the city. 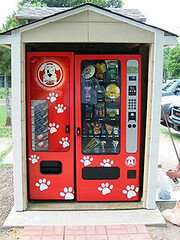 The doggie vending machines can provide owners with chew toys, balls, pick-up bags, leashes, and collars. I’m sure your dog would rather have you buy him a bag of chips from a human vending machine instead though. You are currently browsing the archives for the Dog Parks & Travel category.